The Janna Mysteries are now out of print. Please note that the series will still be suitable for a YA readership. On the run and in fear of her life, Janna seeks refuge at Wiltune Abbey, but love, danger and mysteries follow close behind. What secrets does her father’s letter hold, if only she can learn how to read it? 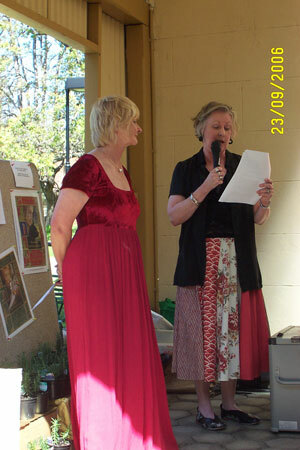 Can the mysterious stranger asking questions about Janna be linked to whoever stabbed the lord Hugh at St Edith’s fair? Was the knife intended for Janna, or will Hugh’s friendship with the beautiful Emma have disastrous consequences for them all? Who is destroying a precious manuscript, and what is the significance of the lilies left at the saint’s shrine? The civil war between the Empress Matilda and King Stephen brings the empress to the abbey. A chance meeting secures Janna’s loyalty, a loyalty that will eventually put at risk Janna’s heart, her happiness and even her life. 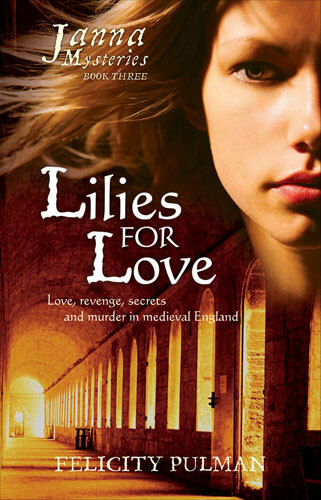 Lilies for Love takes Janna to Wiltune Abbey in the next step on her quest to find her unknown father and seek justice for the death of her mother. 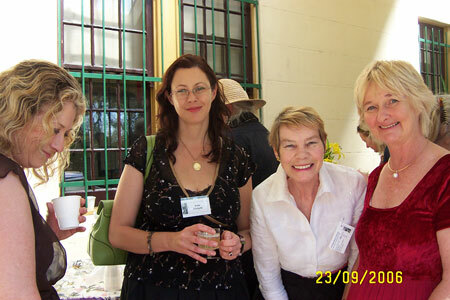 Lilies For Love won the Biennial Book Award, Society of Women Writers, 2007. 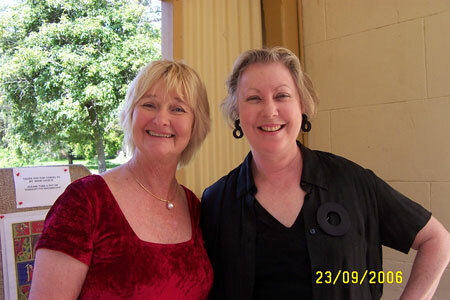 The Janna Mysteries are listed on the Victorian Premier’s Reading Challenge. Teachers: Discover how you can match my novels to the English and/or History curriculum. You’ll find a comprehensive description of themes, topics for discussion, class activities and associated articles of interest for all my books on the For Teachers page. 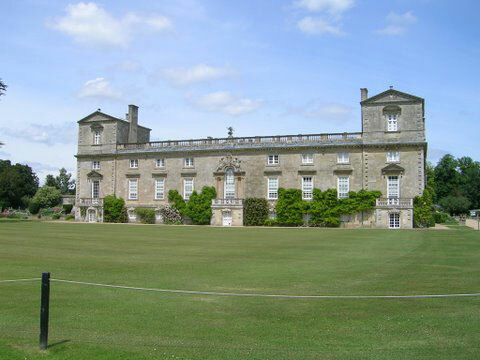 Wilton House, stately home of the Earl of Pembroke, which stands on the site of Wiltune Abbey. 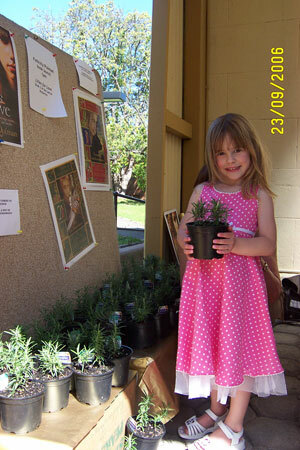 Rosemary For Remembrance – Janna lives at the edge of a forest in medieval England. Her whole world turns upside down following the death of her mother. Rue For Repentance – Driven from her home and disguised as a youth, Janna seeks refuge at a manor farm only to find her heart and her safety under threat following a series of ‘accidents’. Willows For Weeping – ‘Death follows you.’ An old woman’s prediction haunts Janna as she travels to Ambresberie with a group of pilgrims, hoping to discover the truth about her mother. But a letter discovered on the body of a dead man takes Janna to murder at Stonehenge and a crime to solve. At stake are Janna’s happiness and the success of her quest to find her unknown father, a quest that seems close to fulfilment after a charismatic pilgrim joins their party and offers his help. A man’s life hangs in the balance as Janna is forced to choose between loyalty to the Empress Matilda and what she most desires. Sage For Sanctuary – 1141 AD, and Winchestre is ablaze in the bitter civil war between King Stephen and the Empress Matilda. The mystery of Janna’s birth and her mother’s death have put her own life (and her heart) in danger. Proof of her identity is lost when her purse is stolen; she must work as a lowly drudge in a tavern to support herself while she tries to locate her unknown father. When sabotage threatens the tavern’s future, Janna has another mystery to solve and a decision to make that will jeopardise her relationship with everyone she loves and values. Thyme For Trust – Janna’s happiness at finding her father soon turns to dismay as she comes to realise the threat she poses to his family. Fearing for her life, Janna accompanies him to Oxeneford where the empress is under siege from King Stephen, but her desire to act and to follow her heart puts Janna at odds with her father who is anxious to negotiate her marriage with the king’s favourite. When the man she truly loves is accused of murder, Janna has one more mystery to solve, until the siege of Wiltune turns her life upside down and changes everything. 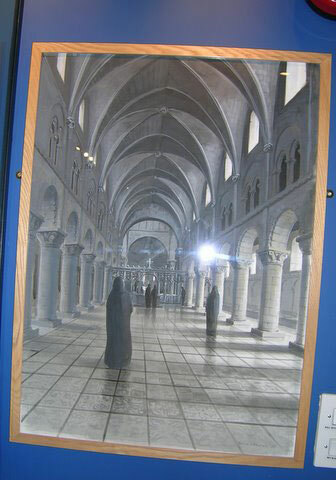 Artist's impression of Shaftesbury Abbey. 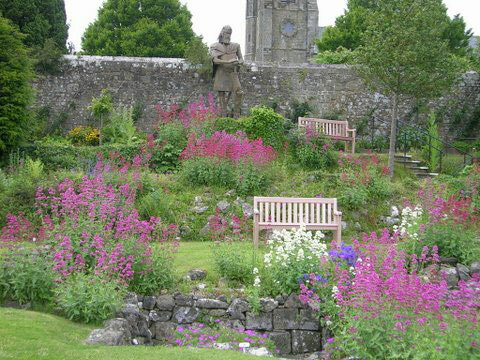 I visited the ruins of Shaftesbury Abbey while researching Lilies for Love. The ruins of Shaftesbury Abbey as we see them today. The statue of Alfred the Great is at the back, and to the left is 'Aethelgifu's Anglo Saxon herb garden' - as the 'herbarium' might have been planted over a thousand years ago. 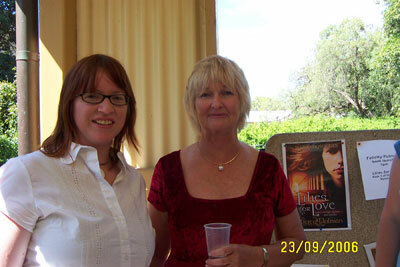 The Janna Mysteries ‘Lillies for Love’, Book 3 in the highly acclaimed medieval crime series for teenagers, was launched at the NSW Writers’ centre on Saturday 23rd September by Linsay Knight, head of Children’s Books at Random House Australia. Click on each of the photos from the launch below to view a larger version.